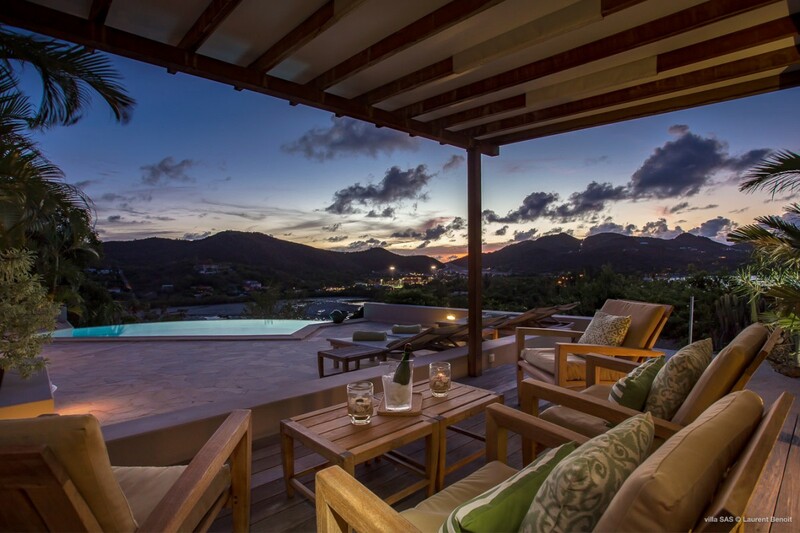 Villa Style and St Barts St Barts. 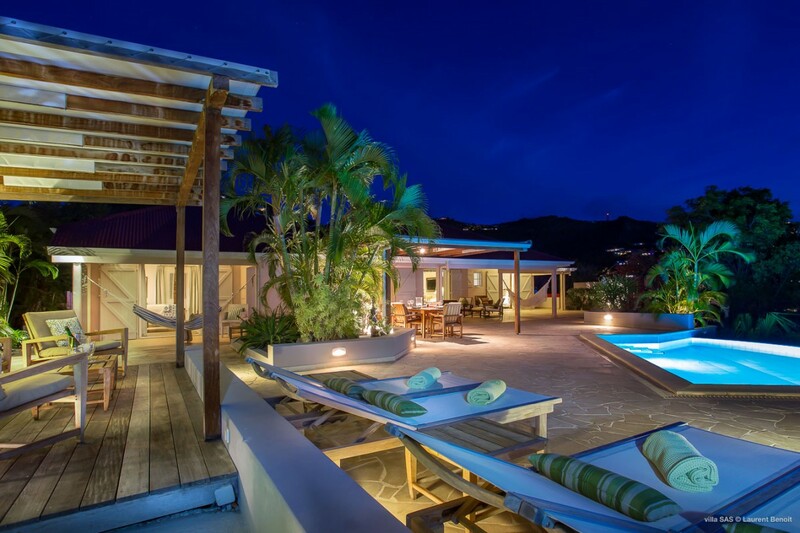 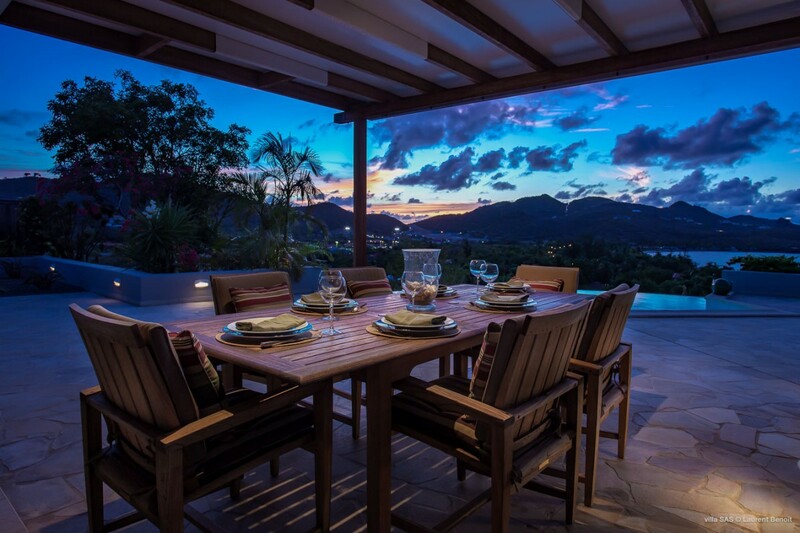 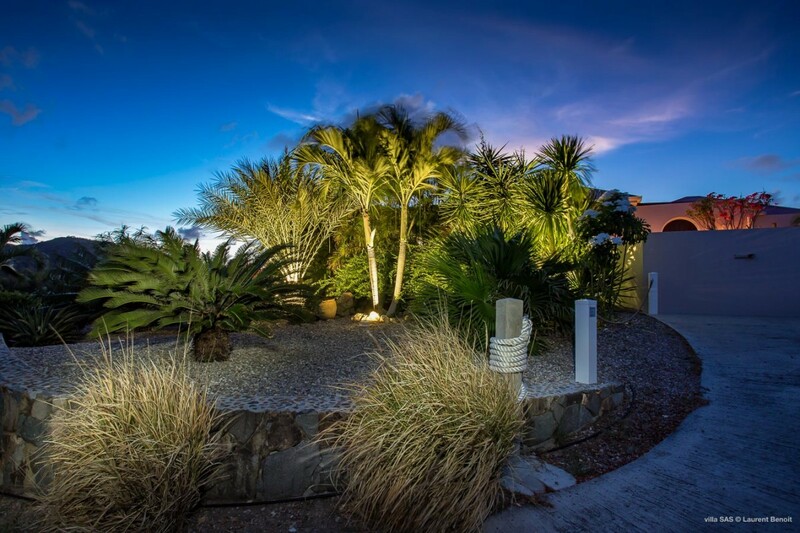 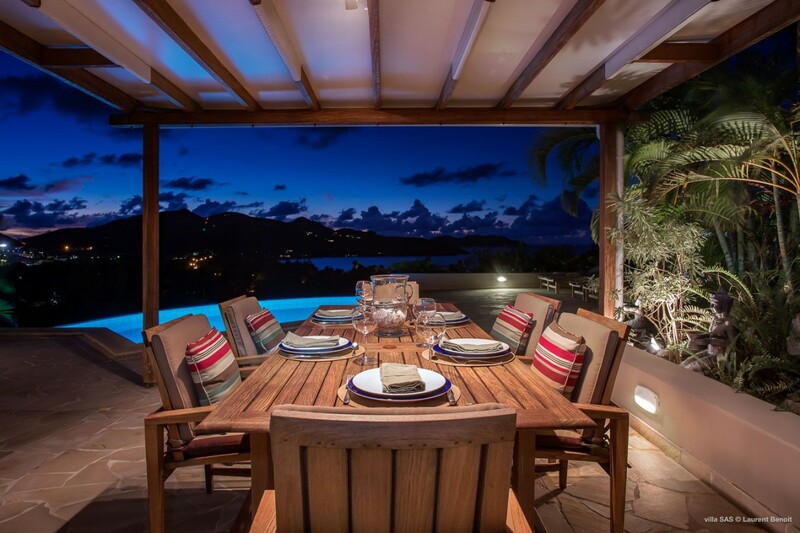 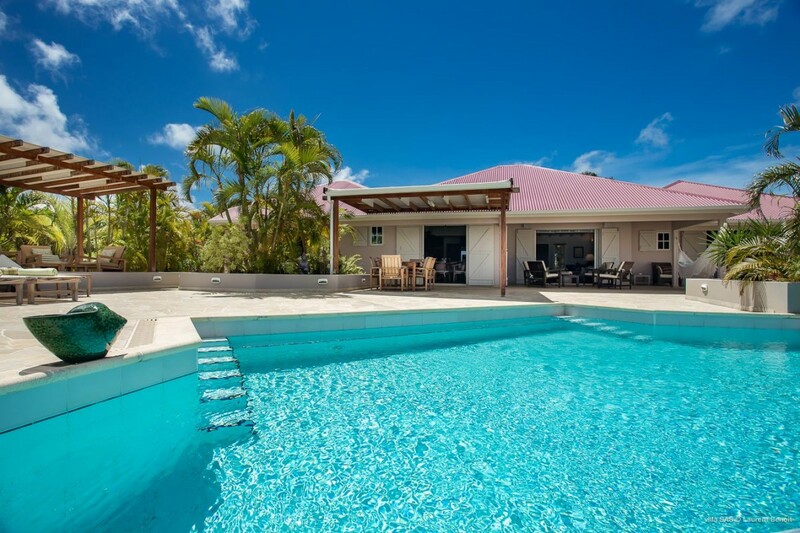 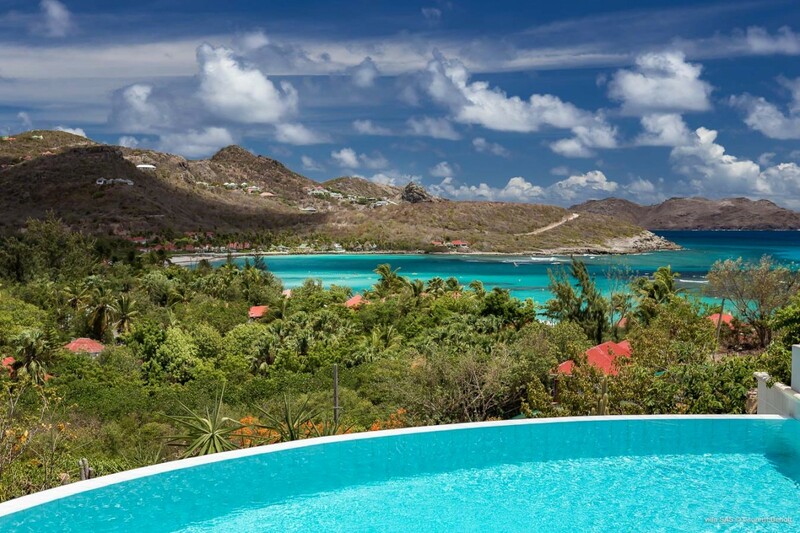 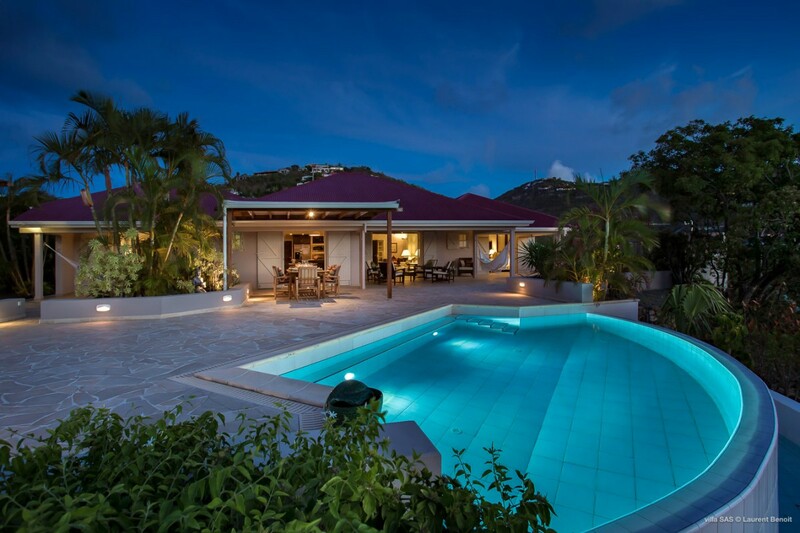 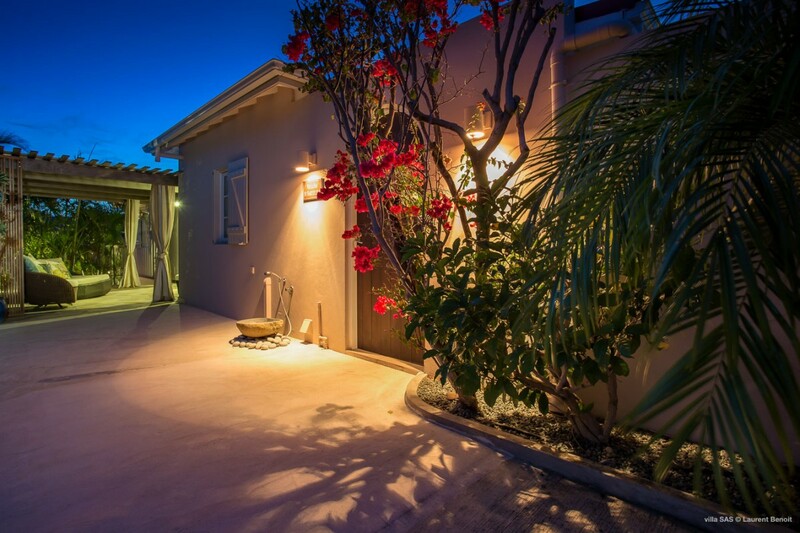 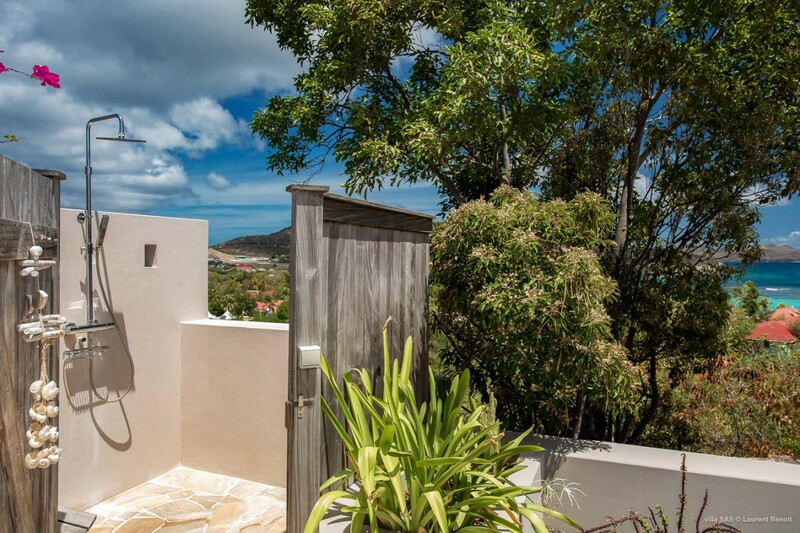 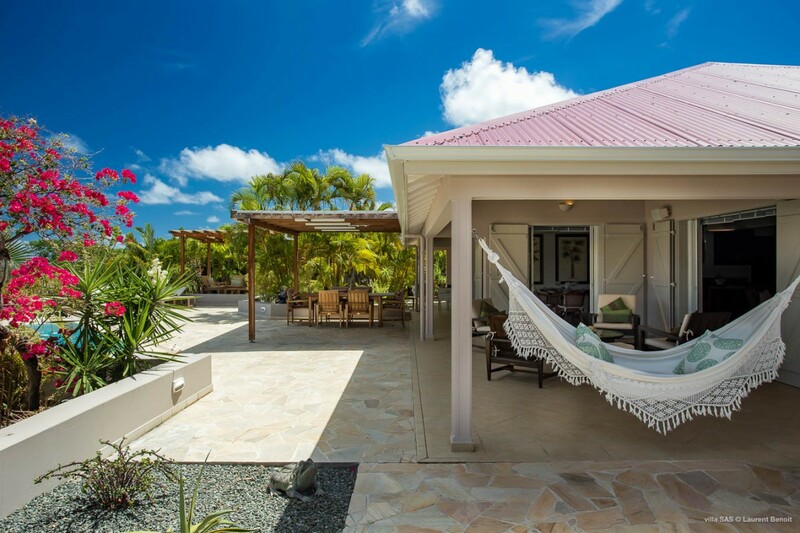 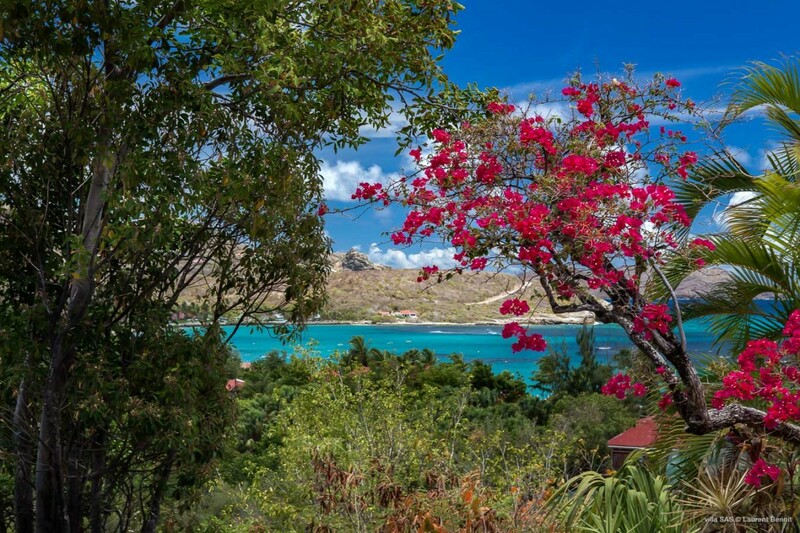 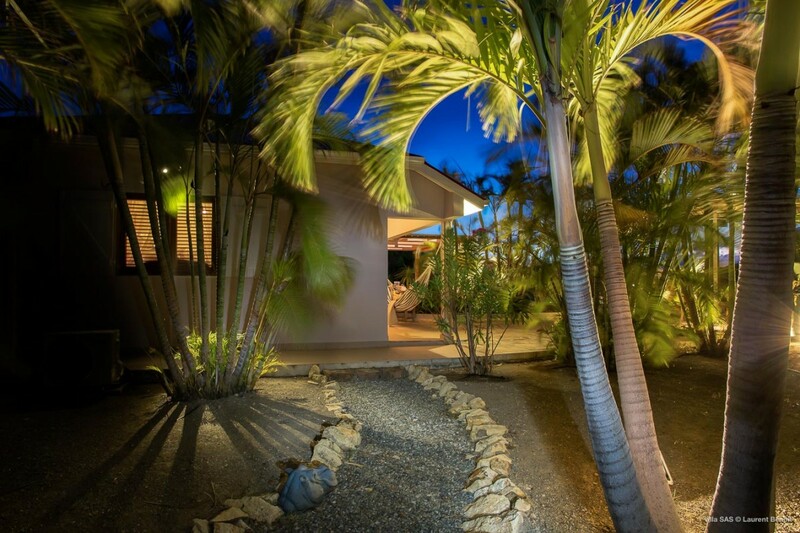 The very epitome of fun and style in the tropical sun, the delightful Villa Style and St. Barts is tucked into the popular Saint Jean area, placing you just minutes from some of the very best beaches, shopping and dining that St. Barts has to offer. 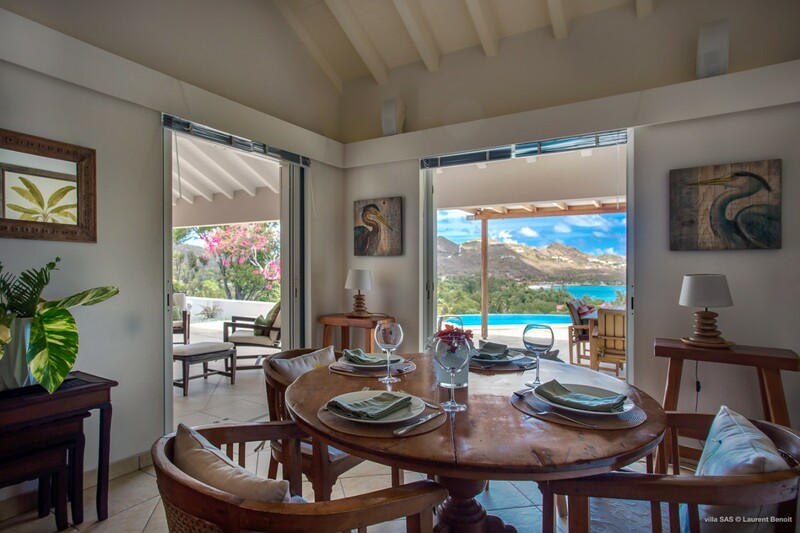 Yet, it is also a complete destination on its own with a lovely array of exterior and interior living spaces to share or savor on your own. 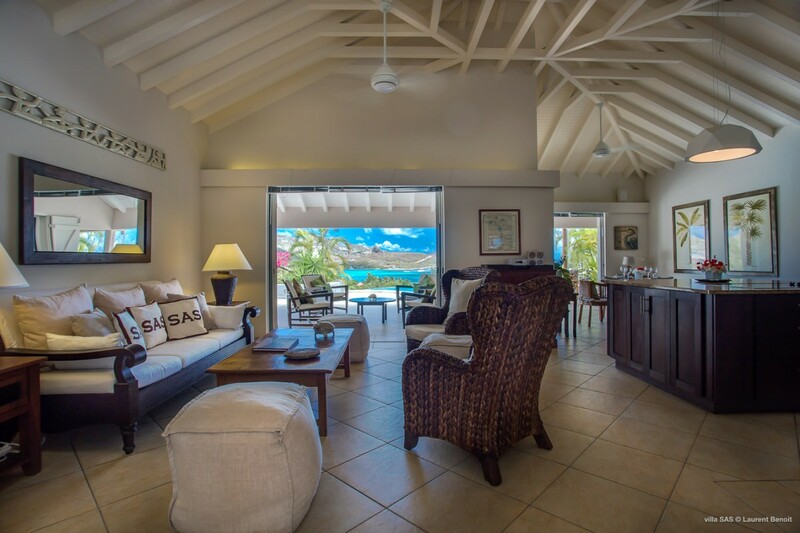 The two-bedroom property is sized just right for a small group or even a honeymooning couple. 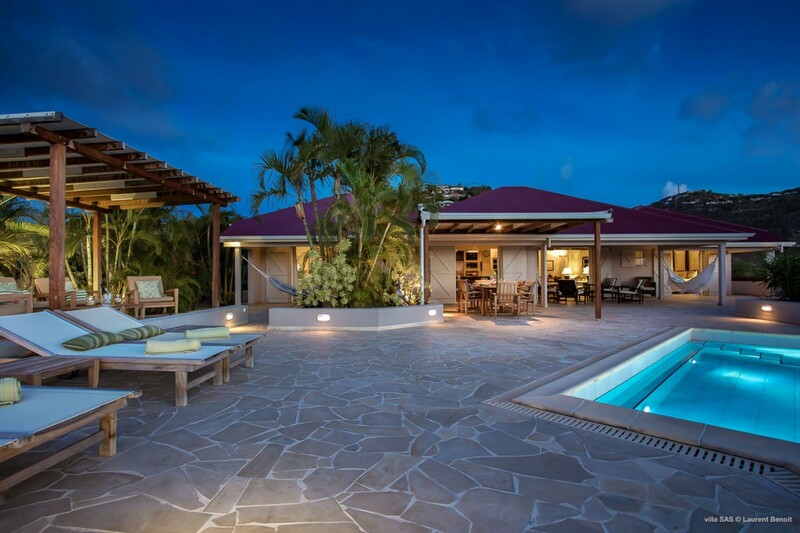 Whether it is a romantic retreat or even a getaway for one who wants to relax and rejuvenate in peace and style, a favorite spot is going to be the pool area. 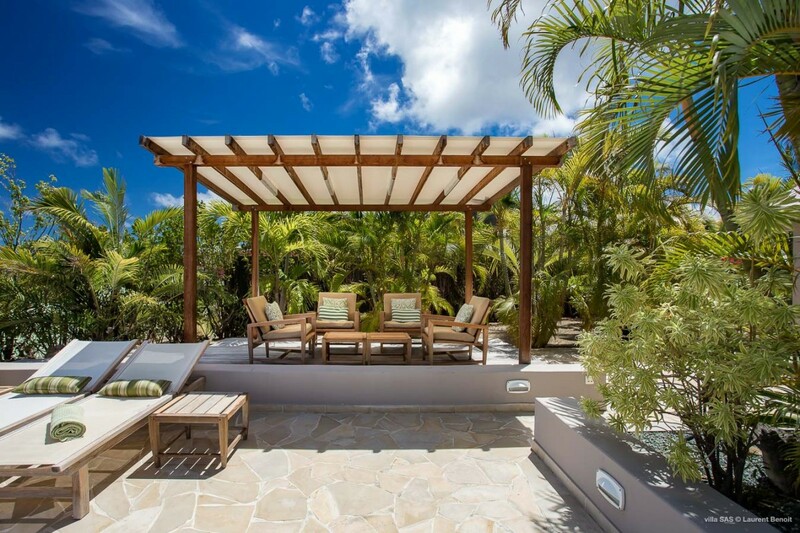 Framed in an array of appealing terrace and verandah spaces, it includes a lounging pergola, several sun decks, and an al fresco dining area beneath the verandah. 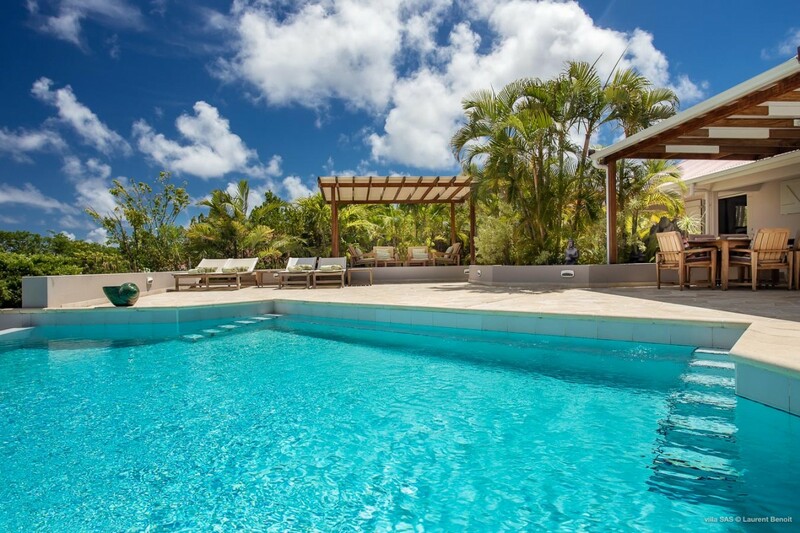 It also includes the uniquely shaped, infinity-edge pool. 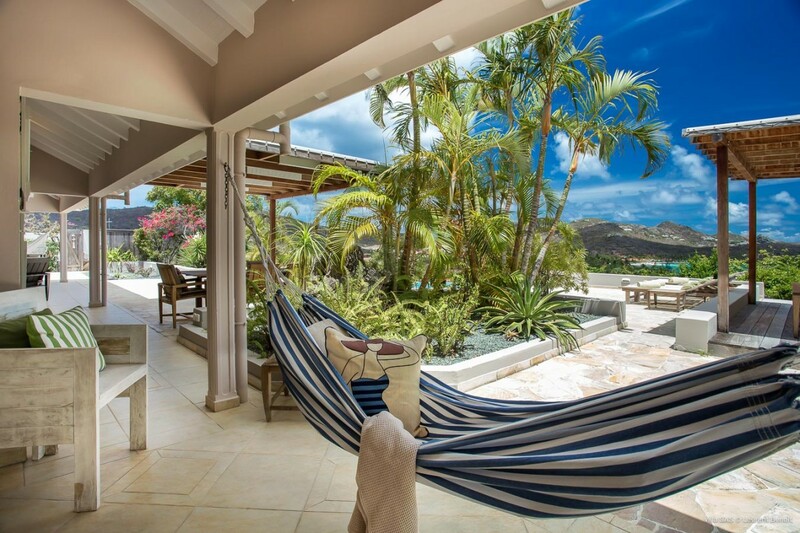 Soak up the amazing scenery, toast sunrise or sunset, or even bask beneath starry skies from this super-comfortable and stylish space…there are even a few hammocks to enjoy. 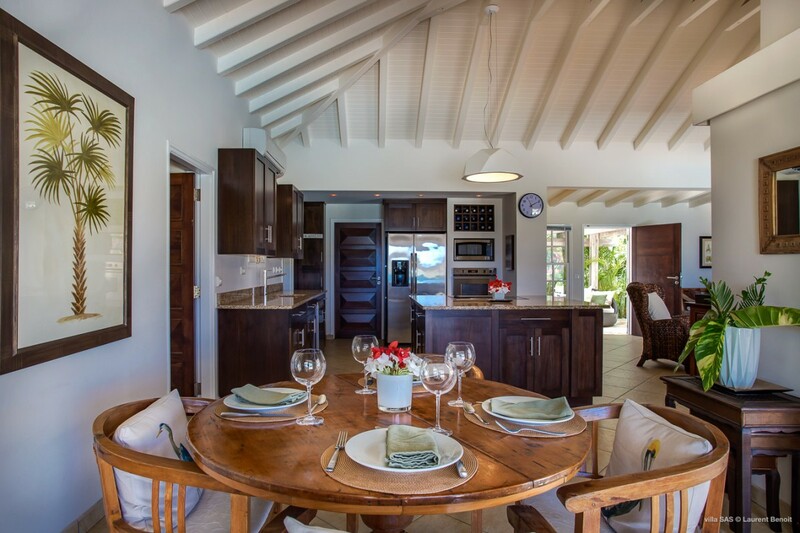 Inside, a wonderful blend of island casual and colonial styled furnishings creates a chic but welcoming space. 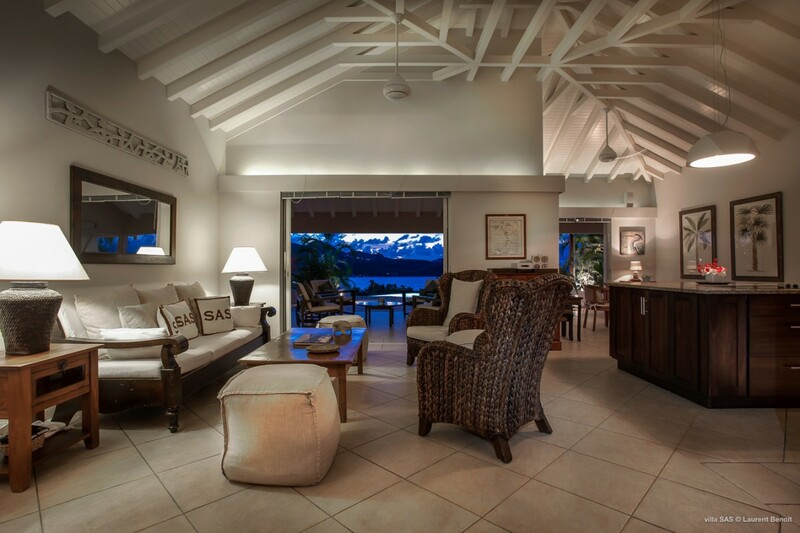 The great room has high ceilings and a pale white palette that works beautifully with the rich stain of the wooden furnishings and décor. 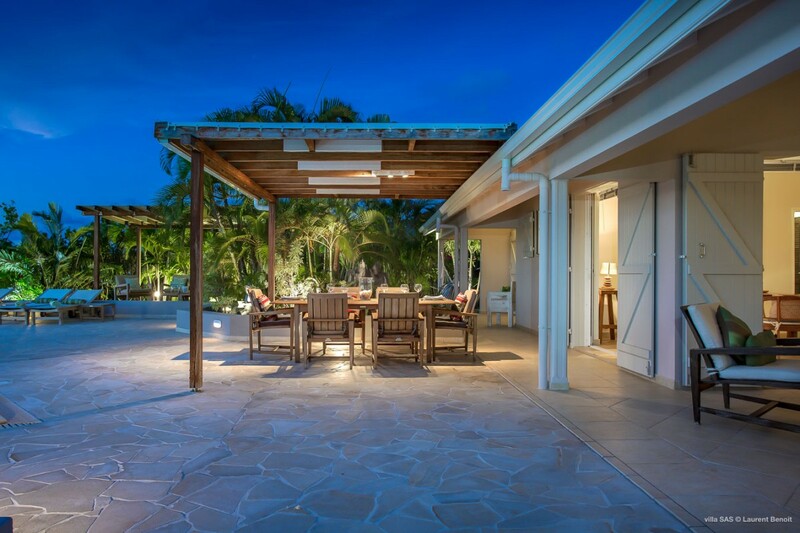 There is an airy lounge and living room, a formal dining area and the open-air kitchen. 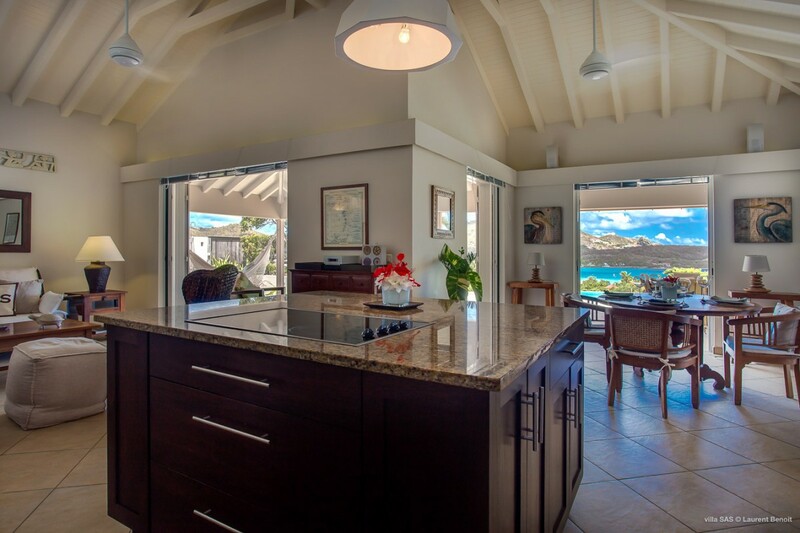 With its top of the line appliances and work spaces, it makes meal or drink prep simple and fun. 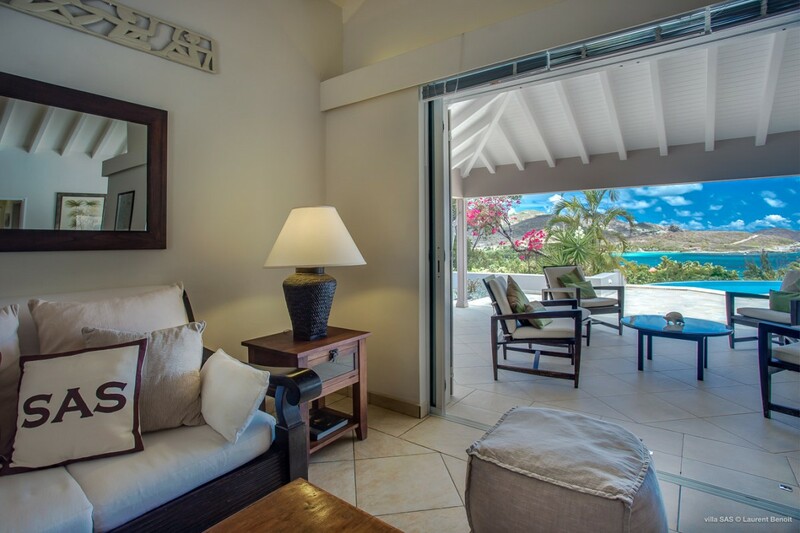 The two bedrooms both open to the stunning sea views and the terrace. 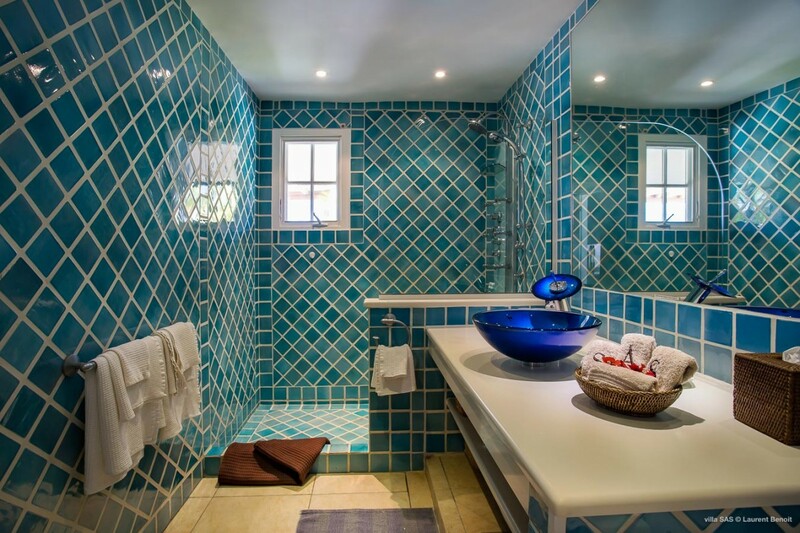 The master suite has a gorgeous, four-poster king bed and blue tiled bath. 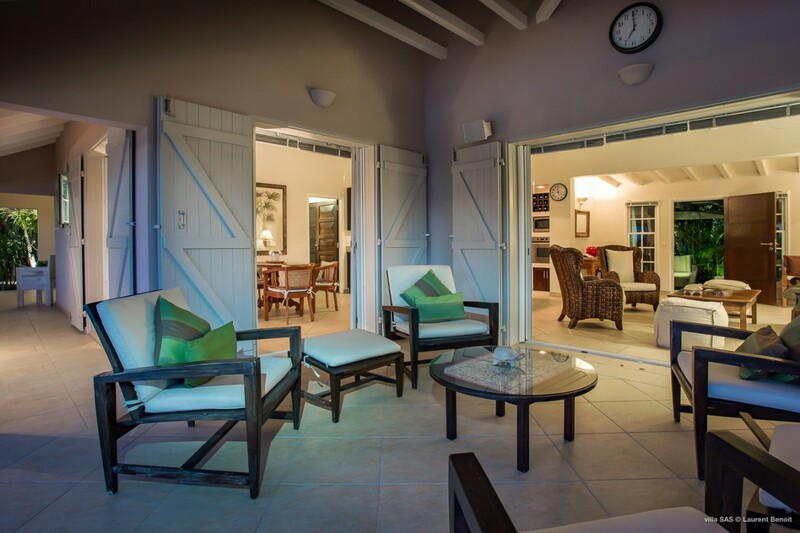 The other suite is a dual twin suite with large private bath as well. 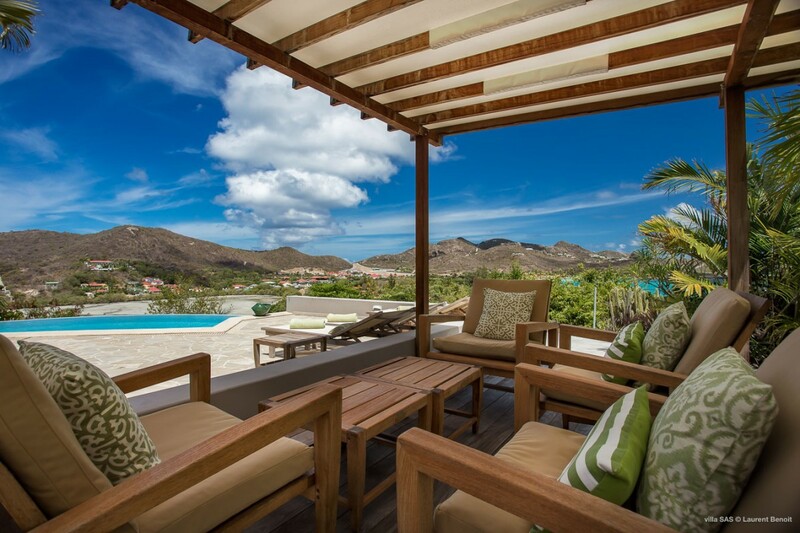 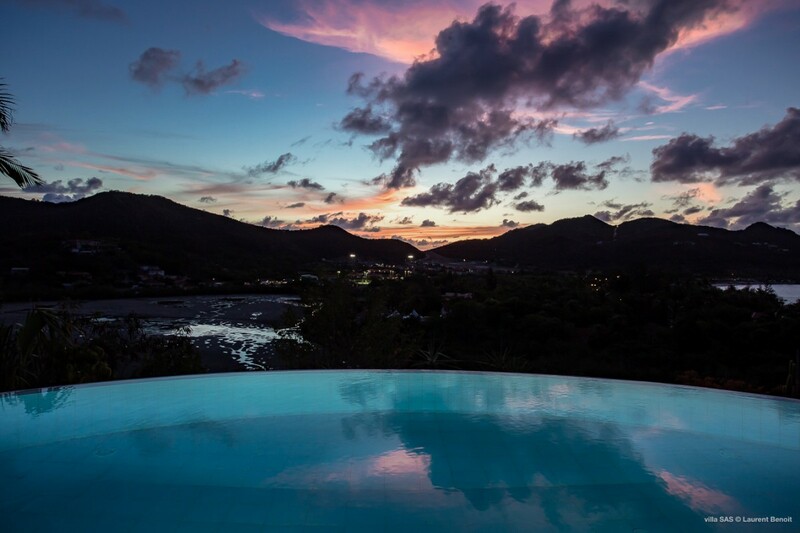 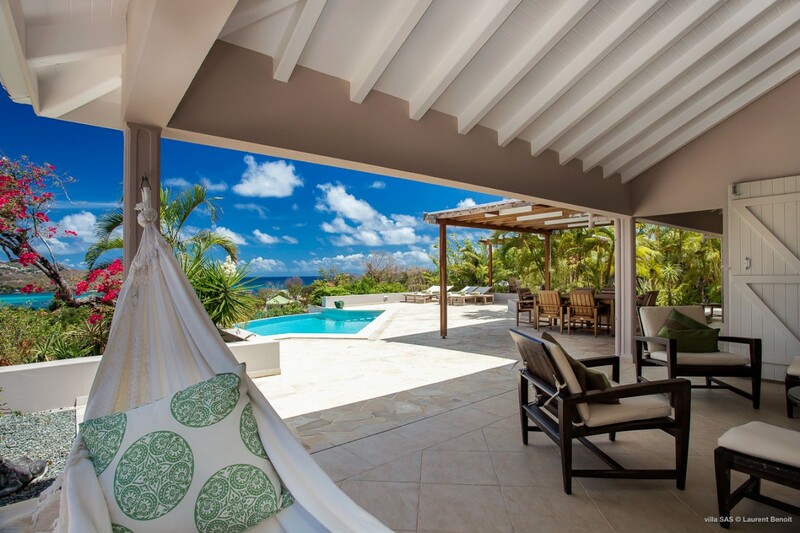 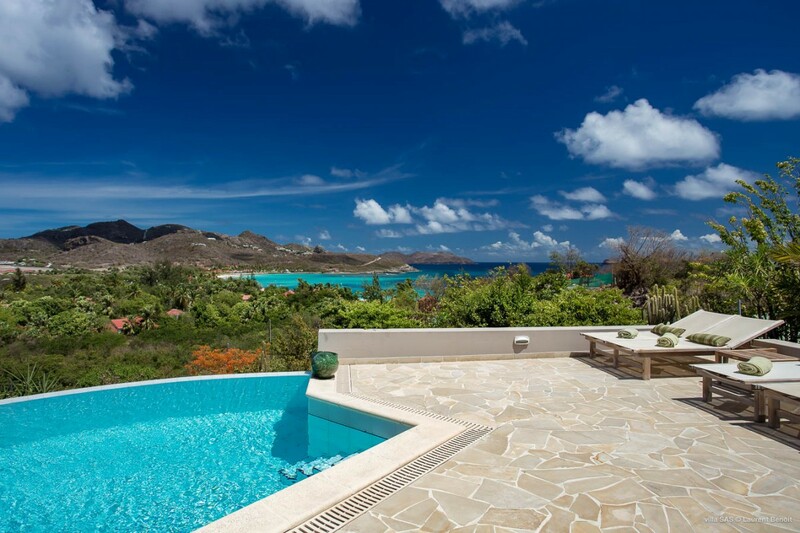 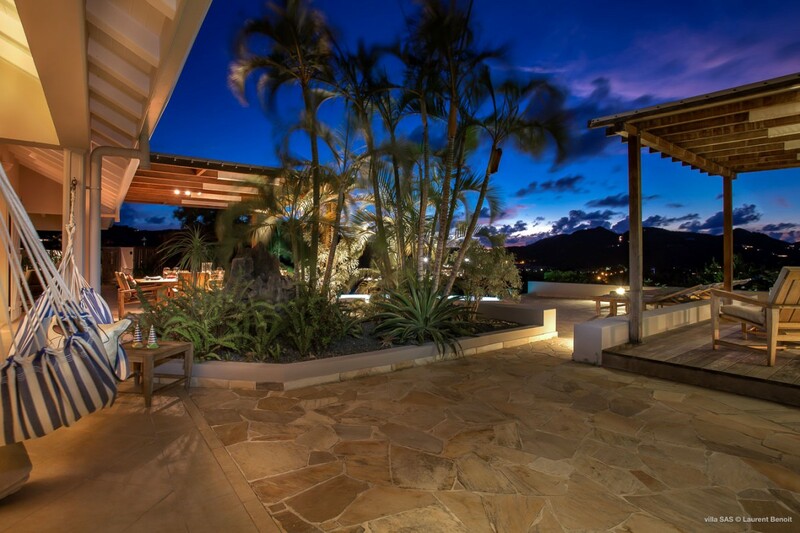 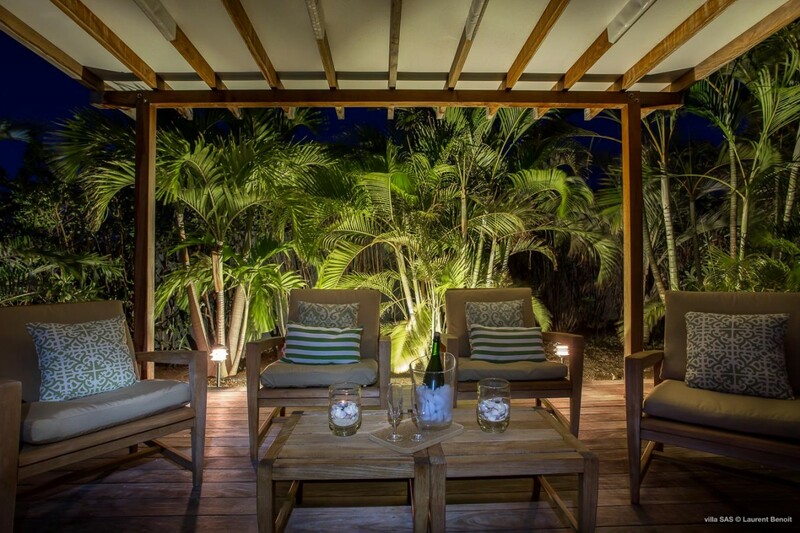 Whether booked for a holiday for two or four, the Villa Style and St. Barts is going to prove a delight. 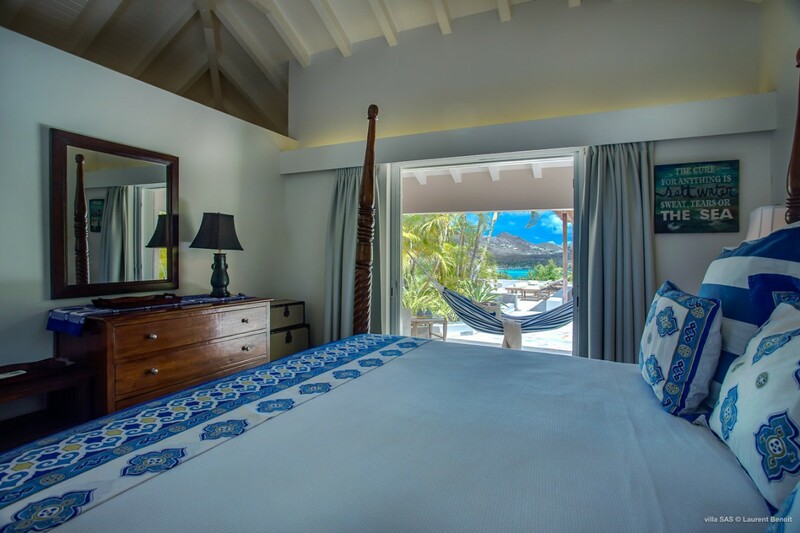 Master bedroom has a king size bed and en suite bathroom. 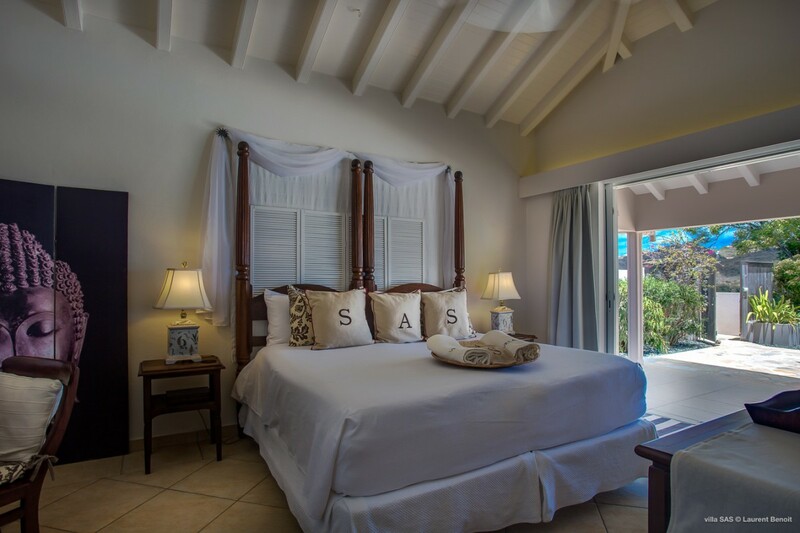 The second bathroom has two twin beds that combine for a king bed along with ensuite. 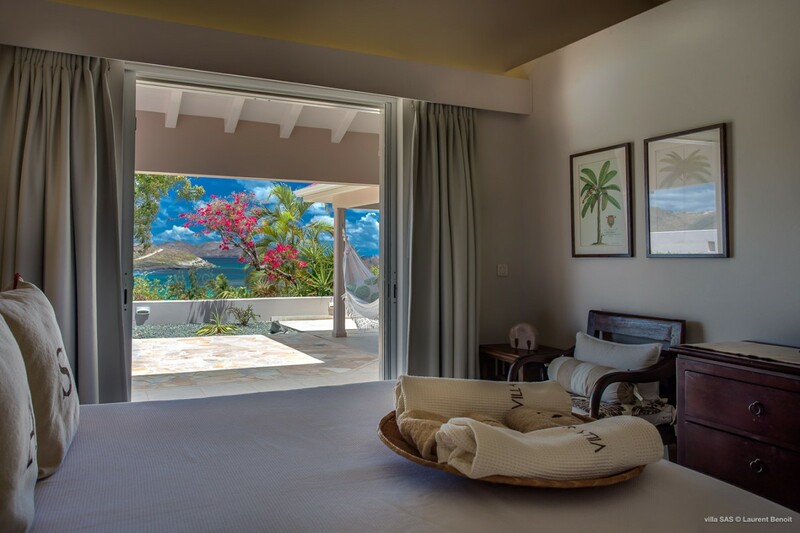 Bedrooms open to ocean views and the pool terrace.